Whenever you hit the open road, it’s only natural to think nothing will go wrong when touring. But as we all know, things can, and do happen. We’ll be the first to admit that we’ve had a few clangers over the years, and spoken to many others who shared their not so pleasant experiences of open road travel. These days, we’d like to think we’re better prepared by having an action plan ready to swing into action when needed. Sure you can’t plan for everything, but it’s having that type of mindset when travelling that puts you on the front foot. In the scheme of things, this can mean the difference between being one more caravan statistic, and treating it as just another challenge on the open road. Yes, you could go mad trying to think of every possible scenario that might bring your travel plans to a grinding halt, but at the end of the day, it all comes down to risk and what approach you’ll take to manage it. 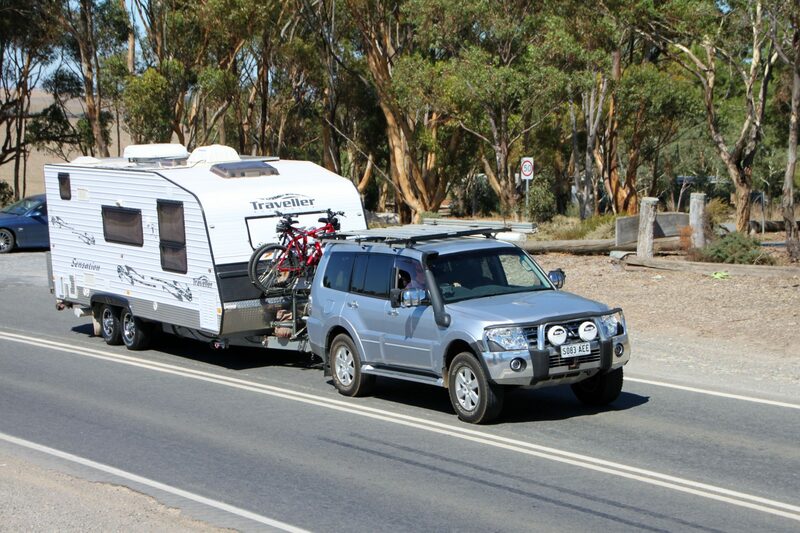 For some, a vehicle or caravan/trailer mechanical failure can be classed an emergency, whereas others will look at it as a setback that’s not going to stop you dead in your tracks. So when exactly was the last time you had your setup serviced? While we’re not here to spell out the bleeding obvious, keeping these items maintained is one sure fire way of avoiding any trouble while you’re away. Then when you’re on the road, keep a watchful eye and inspect under the bonnet daily, and take a look underneath your vehicle/caravan/trailer for anything out of the ordinary. Pay attention to wheel nuts and tyre pressures when travelling on corrugated roads, and listen for anything out of the ordinary. While we’d never advocate that you travel with a full mechanical workshop, carrying some basic items such as cable ties, spanners, fencing wire, nuts and bolts and duct tape, might just be enough to keep you going. Even having all your vehicle’s details in one complete folder at your fingertips that records information such as VIN and engine number can be handy, as it often makes it faster for service centres to locate what options and specs apply. 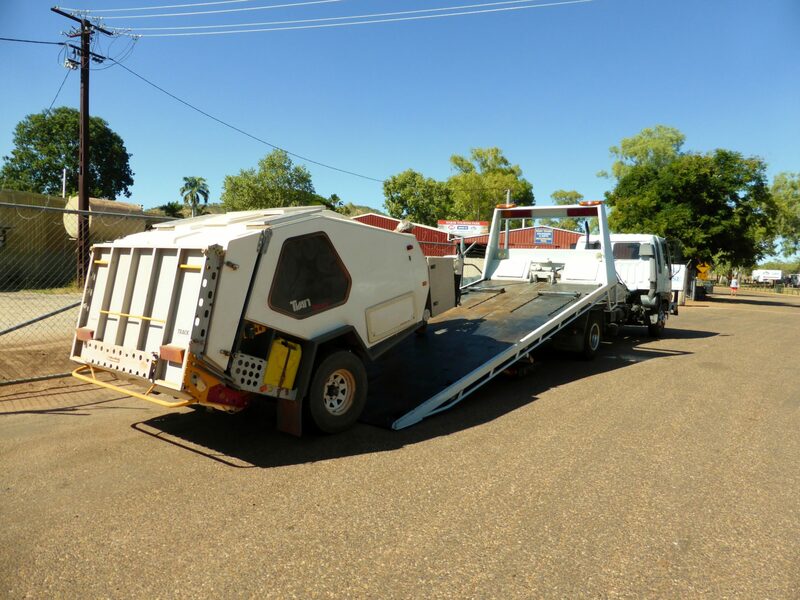 It will also assist service associations know what to bring with them if you ever require road assistance. While you’re at it, record part number details for service parts like oil, fuel and air filters, as it helps when ordering parts for a service when in a remote town. Travelling with others can be loads of fun, but one fundamental point we make before leaving home is to know the health of our travelling partners, and whether they have any medical conditions. Armed with this information means we’re all in a better position to react as a group if something goes awry. 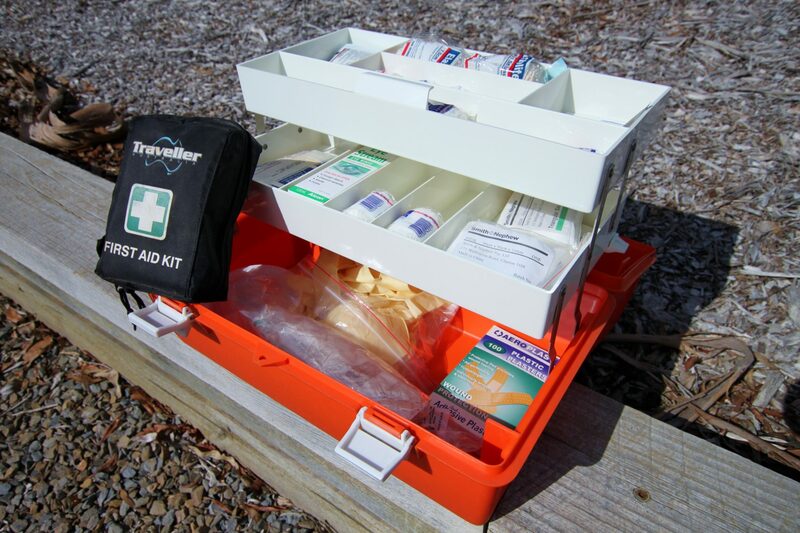 Needless to say, we travel with a comprehensive medical kit that covers more than just standard first aid, but of course you need to know how to use it. There’s many providers that provide first aid training, but take it a step further, and book into a course that focuses on travelling first aid. While on the subject of medical information, we keep a copy of our medical details in our vehicle’s glovebox in the case of an emergency. Whether we travel with others or by ourselves, we just find the glovebox an easy place to store it. 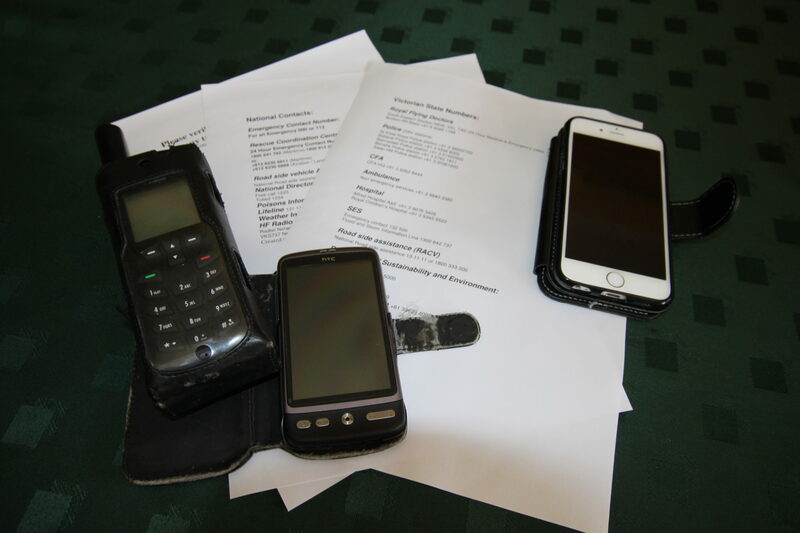 We’ve recorded information such as blood type, any allergies, past bone breakages, and any operations we’ve undergone, as well as containing important phone numbers of family members, doctors and specialists. A road accident of sorts is by far the one thing that will ruin any travel plans, but whether it’s some slight panel damage or something more serious, now’s the time to kick that plan into action. While it’s easy to say “remain cool, calm and collected”, everyone reacts differently in the heat of the moment. Having a step by step glovebox guide handy that you can refer to during times like these, will guarantee you complete all the relevant information, and have you calling the right authorities. So you’re probably getting the idea by now that it’s all about having the right mindset and a plan. This is definitely the case when it comes to security while travelling, and what precautions you’ll take to ensure the safety of both you and your equipment. There are some excellent anti-theft and alarm products on the market, and even camping with others close by can provide a level of insurance. 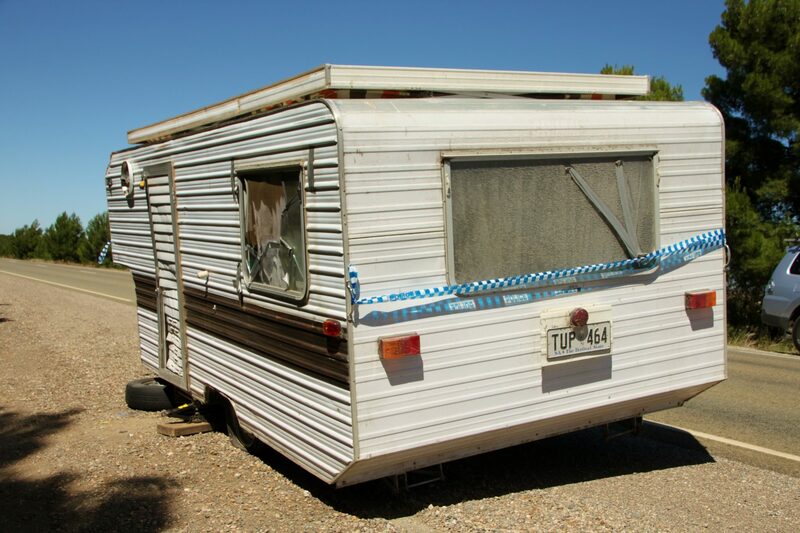 Don’t leave expensive items in your rig while unattended, and keep a manifest of items kept in your caravan/trailer. Check with your insurance company well before taking off on that next trip, so you understand what your contents policy will and won’t cover. Be prepared to shop around to find a policy that suits your way of travelling. Having lived in a fire risk area for years, it goes without saying that we have a fire plan, whereas it’s all about having an evacuation plan in the event of a natural disaster when touring. While in most instances apps and radio broadcasts will provide you with alerts, you can’t rely solely on these. By discussing and preparing a plan beforehand, it means we’re more prepared to quickly swing into action and evacuate if a natural disaster strikes, or simply to make a mercy dash to get someone help. If you find yourself in a spot of bother while travelling, being able to maintain good communication with the outside world is paramount. So we’re all for spending a few extra dollars on a good communication set up, as we see it as cheap insurance for family safety. While you may think your mobile phone is going to work everywhere, there’s considerably less chance of having any signal the more remote you go. The telco companies provide mobile coverage maps for consumers, so if you know where you’re travelling will possibly be out of range, you may need another plan. Travelling with a simple UHF radio can sometimes suffice, whereas an HF radio costs considerably more and has licence requirements, but it can link you directly with rescue agencies allowing you to talk through your situation and receive immediate advice. Additionally, with other devices such as satellite phones, warning beacon devices and personal locator beacons, there’s no reason you can’t stay in contact somehow while you’re on the black top or off road. We all travel with the approach that we’ll have a good time, as that’s what travelling is all about. But when something goes wrong, the key is how quickly it can be rectified before being able to continue. Take the time and develop your own risk mitigation plan that you’ll implement in the event of an emergency – you may never have to use it, but like any good scout, it’s better to be prepared.